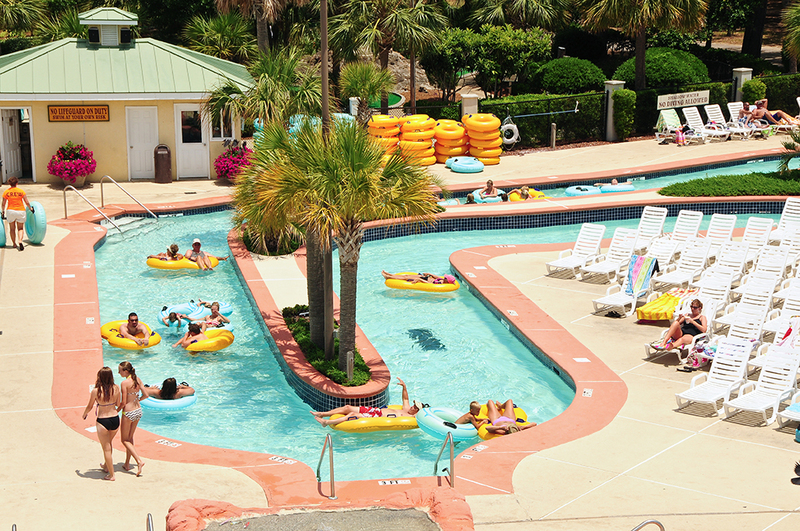 There are not many better ways to relax on a hot summer day than floating down a lazy river. 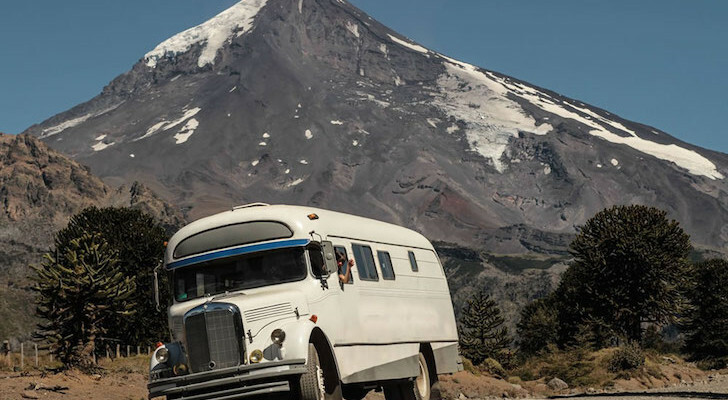 These are some of the best RV resorts where you can grab a tube, sit back and enjoy the ride. 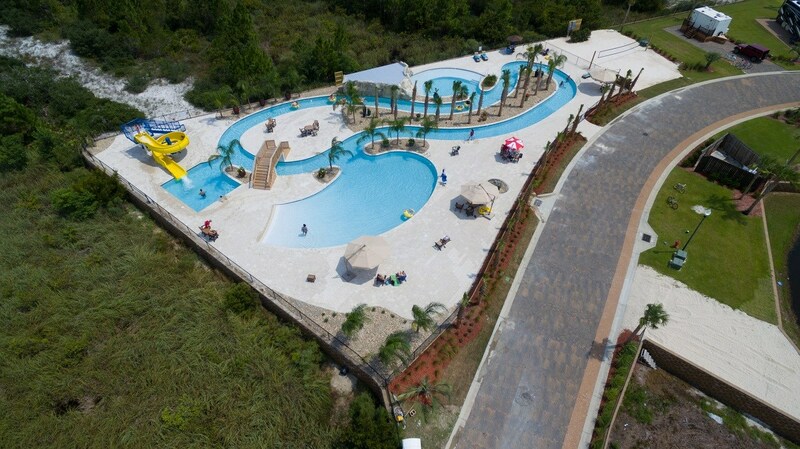 Buena Vista recently added a lazy river, outdoor pool, and a water slide to their RV resort on Alabama’s Gulf Coast. They are located across the highway from the beach and backed by Gulf Shores State Park, where there are hiking and biking paths and a fishing pier. 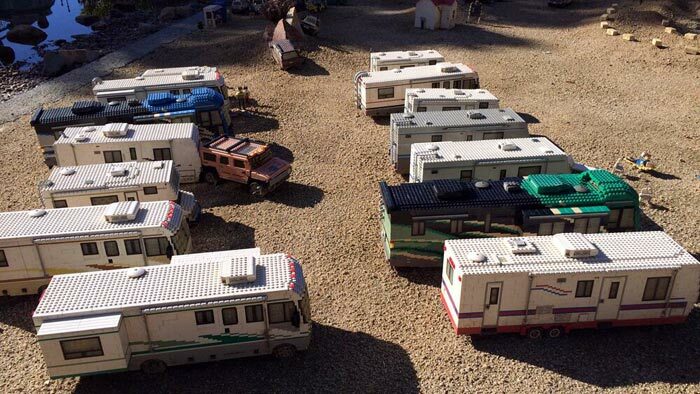 Their full hookup RV sites are nicely landscaped with greenery for privacy. 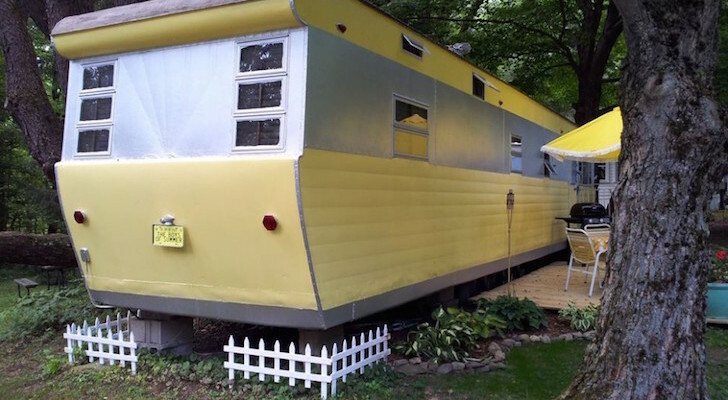 Each spot has a picnic table and some also have a tiki hut with a gas grill and fire pit. They also have coach houses that are available to rent and a clubhouse with an indoor heated pool, hot tub, and a fitness room. Reunion Lake RV Resort is in a perfect location on their own private lake about an hour from New Orleans and Baton Rouge. They offer five-star amenities including a family pool, adults-only pool, a poolside grill, and a lazy river with a swim-up tiki bar. You can also relax in their outdoor hot tub, play mini golf, or workout in their fitness center. Their lake is open for kayaking, paddleboarding, and visiting their Float Island for an additional fee. 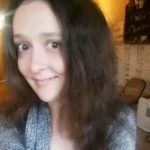 There is a gas station on-site, a Sonic Drive-In, and a camp store with RV supplies. Families can also make full use of their play area and fenced-in dog park. Read more. River Plantation Resort is a short drive from Great Smoky Mountain National Park, Knoxville, and Gatlinburg in Eastern Tennessee. 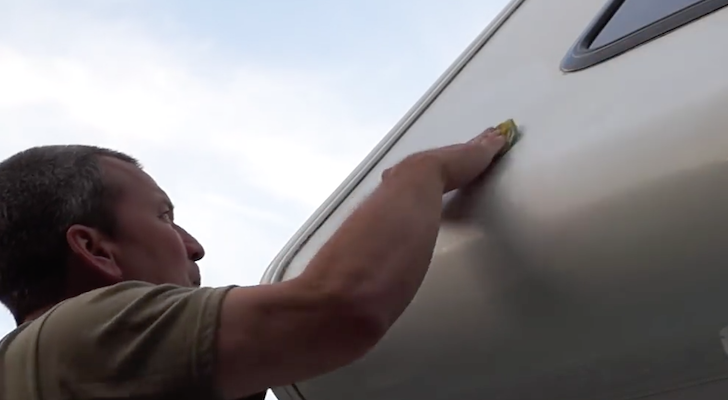 Their 297 full hookup RV sites are well-spaced, including some along the Little Pigeon River. Spend the day in their swimming pool, floating on their lazy river, or next door at AdventureWorks Climb Zip Swing. Guests at the resort can get a special discount if interested. 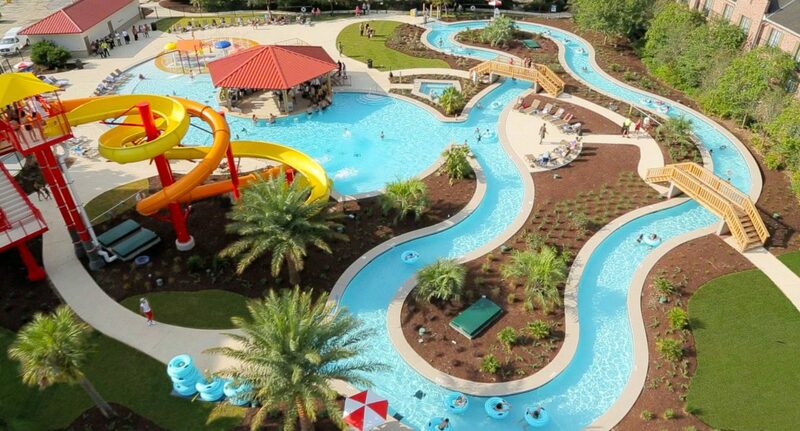 Amenities include a hot tub, splash pad, workout facility, game room, and a bark park. There is also a store on-site that sells RV supplies, snacks, and beverages. 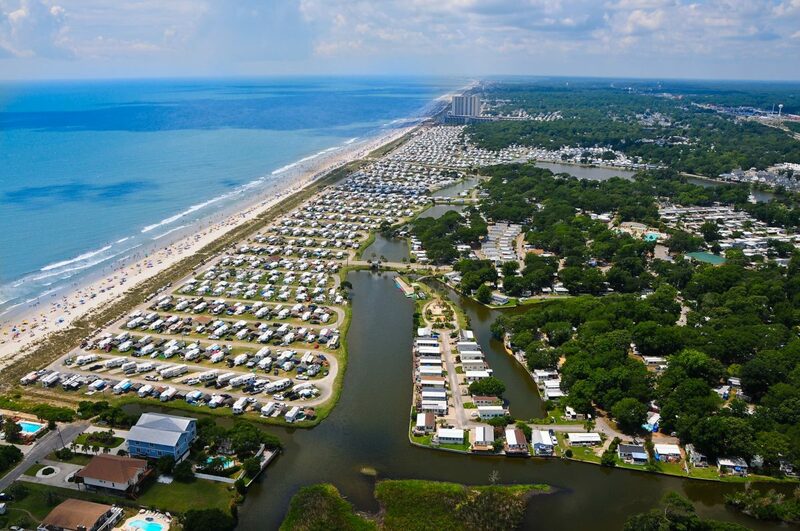 Pirateland Camping Resort is located on the south end of Myrtle Beach with a half-mile of beachfront on the Atlantic Coast. 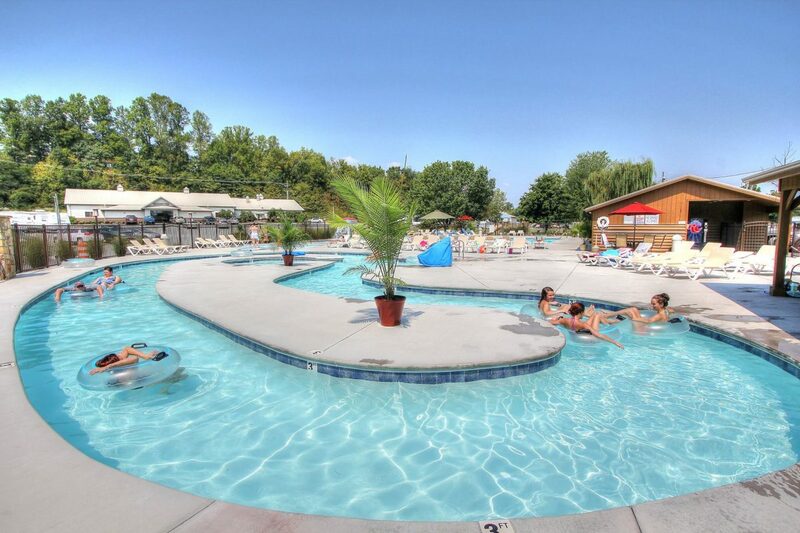 The resort is very family-oriented and has a variety of full hookup RV sites, shaded tent sites, and vacation rentals. 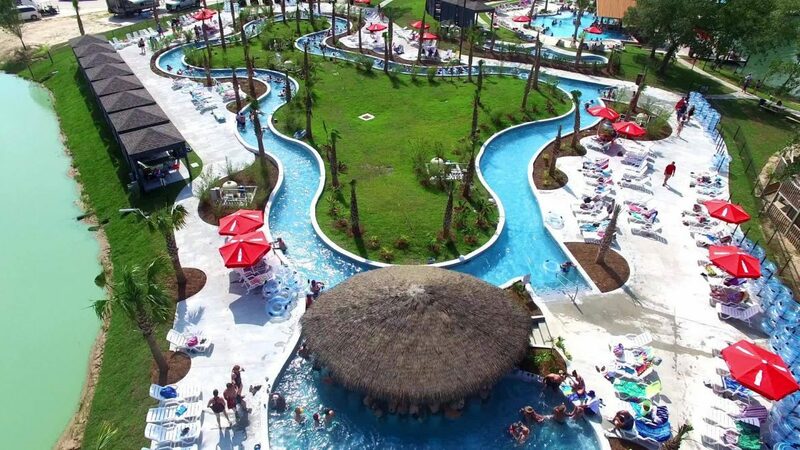 Their water park includes a lazy river (floats are provided), lounging chairs, an Olympic-sized pool, and a 5,000 square foot pirate splash pool. You can also play a round at their 18-hole golf course, rent a kayak or paddleboard, hit up the basketball courts, or the seasonal snack bar and arcade. Hog Heaven Food Trailer is parked on-site during the summer serving BBQ and more. You can grab last minute essentials from their camp store, catch up on laundry at their laundromat, or rent a golf cart to cruise around. Read more. 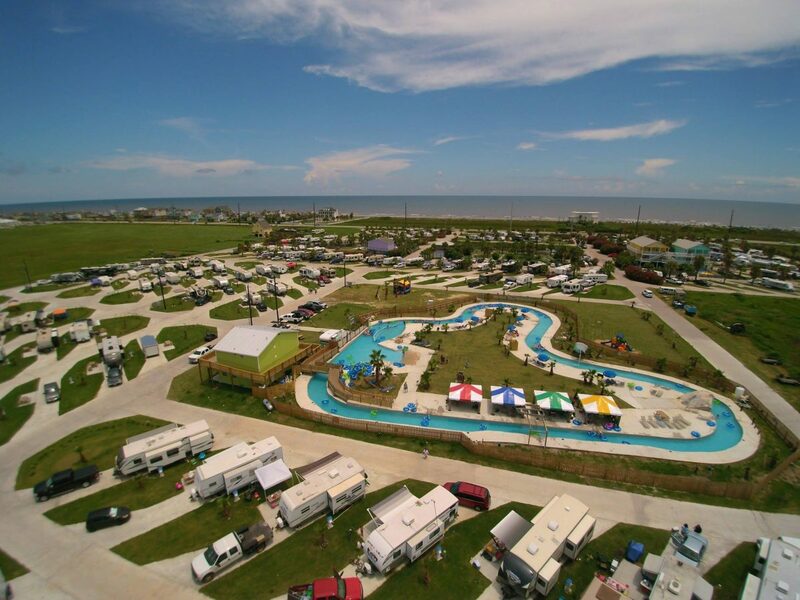 Jamaica Beach RV Resort is across the street from the beach on Galveston Island with wide open views of the Gulf. They have over 100 pull-thru sites with full hookups and all-inclusive amenities like a 700-foot-long lazy river. There is also a relaxing beach pool, family pool, indoor infinity hot tub, outdoor hot tub, and splash pad on-site. Galveston Island is a destination of its own with several other water parks and museums. Also make time to see Schlitterbahn Waterpark, Moody Gardens, Galveston Island State Park, and the historic Pleasure Pier. 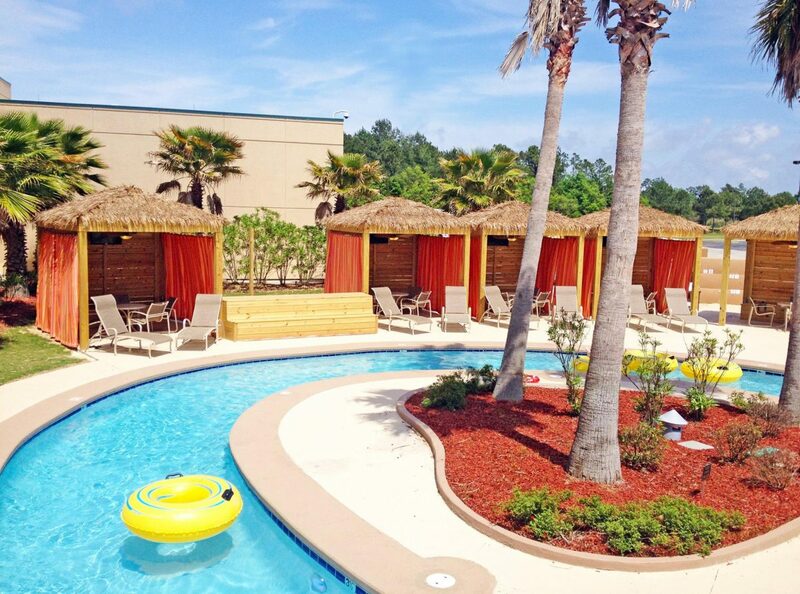 Red Shoes RV Park neighbors Coushatta Casino Resort on a tropically landscaped 40-acre property. 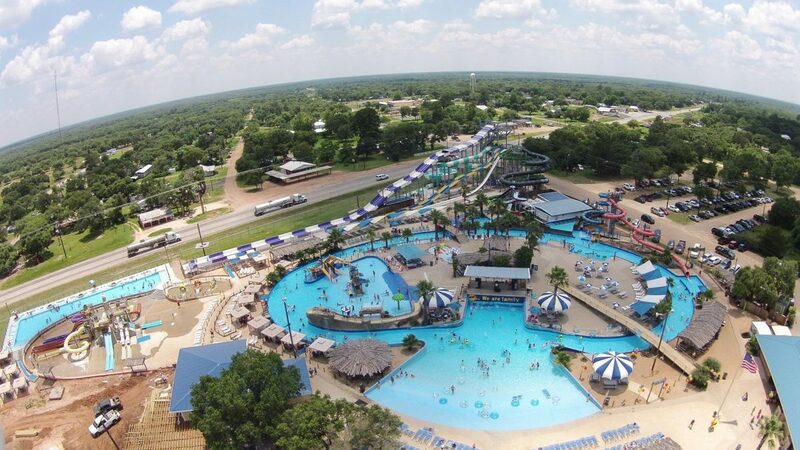 Each RV site is provided with four daily passes to their seasonal Dream Pool area, which includes a swim-up bar, water slides, splash pads for the kids, and a 500 linear foot lazy river with complementary inner tubes. 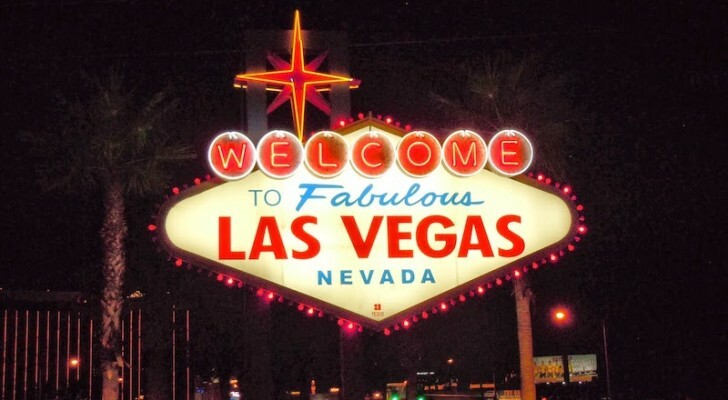 Take the free shuttle service to the casino and check out the gaming, dining options, and live entertainment. You can also access their bathhouses, laundry facilities, and a lodge that houses a big-screen TV, convenience shop, and game room. Read more. Hollywood Casino has a hotel and an RV park with full hookup sites on the Mississippi Gulf Coast. 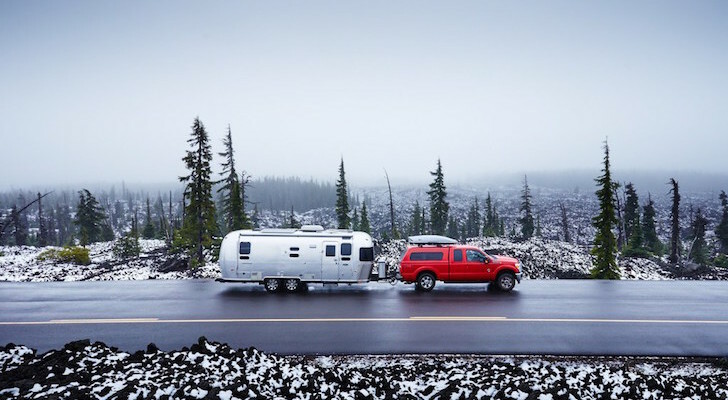 The RV sites include a free shuttle service to their casino and two free wristbands to the pool area, which has a lazy river, hot tub, and a swim-up bar. The lazy river is about 350 feet long and winds around an island sun deck with lounge chairs and cabanas. The casino also has a few restaurants on-site, a marina, and an Arnold Palmer designed golf course. There are also lots of local shops and restaurants only about 5-10 minutes away in Old Town Bay St. Louis. 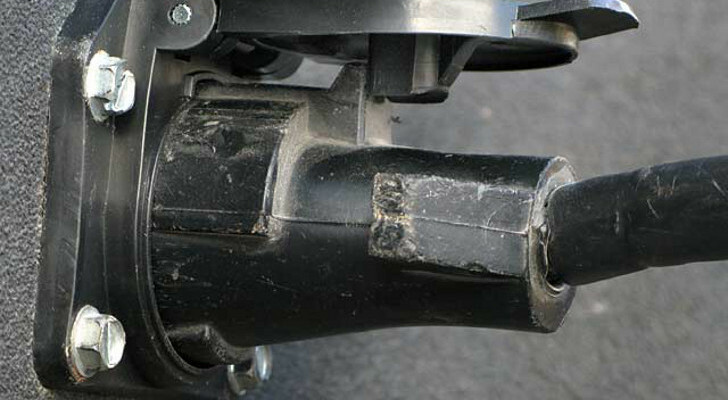 Splashway is easy to find off Highway 90-A about halfway between San Antonio and Houston. Their water park includes wave pools, kiddie areas, speed slides, private cabana rentals, and a lazy river with complementary inner tubes. They have a range of camping options just a short walk from their water park. 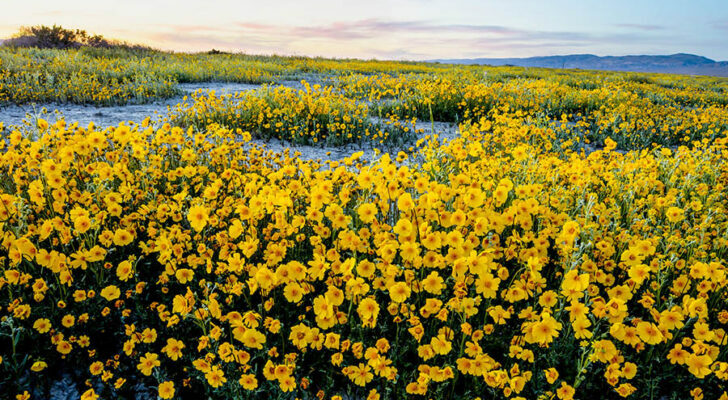 The campground includes full hookup RV sites, cabins and cottages, tent sites with water/electric, primitive campsites, and group sites. Campers can also access walking trails, biking paths, catch-and-release fishing, kayaks, and a playground. There are also a few small cafes on-site that serve burgers, nachos, funnel cakes, and Dippin Dots ice cream. Read more.